Another undocumented (and thus very probably unsupported) Tcl-on-IOS detail: numerous Tcl packages are bundled with IOS and available in the tmpsys:lib/tcl directory (the tmpsys: is a virtual file system mapped to a part of the IOS image). The list of Tcl packages seems to be pretty stable; 12.2SRC and 12.4T have the same contents of the tmpsys:lib/tcl directory. For whatever weird incomprehensible reason, these packages are not made available to the Tclsh interpreter started from the command line. For example, if you want to use the HTTP package, you cannot execute the package require http command like you would in any normal Tcl environment, but have to use the source "tmpsys:lib/tcl/http.tcl" command. 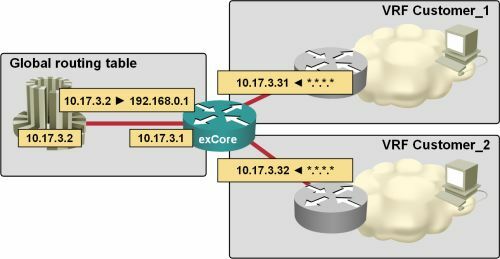 An article I wrote a few months ago explained how to use Quagga on a Linux host to emulate BGP-speaking router inserting test routes into your lab network. If you need multiple BGP sources, you can use a few simple tricks to run numerous BGP daemons on the same host. Brain dumps are the biggest threat to the certification industry these days, significantly devaluing certifications that rely primarily on multiple-choice answers. Similarly to the threat-prevention measures adopted by airport security (read the insightful analysis of their behavior from Bruce Schneier, a renowned security guru), IT vendors are responding with high-tech measures. In the IS-IS on multi-access partially-meshed Frame Relay interface article I’ve described the design rules you have to follow when implementing IS-IS over partially-meshed multi-access network. The IS-IS on partially-meshed Frame Relay subnet: sample configuration article contains step-by-step example, including initial router configuration, IS-IS configuration, verification steps and complete final configurations. Last week I’ve published a video describing the simplest possible BGP-in-MPLS/VPN scenario: a single-router site with one uplink. Today’s video covers a slightly more complex setup: there is still a single router on the site, but it has two links that should be used in load-sharing mode. The ip ospf area does not work on all platforms/IOS versions. I noticed that it works on 7600s(12.2SRB4), but not on 7200(12.2(23)). Is it IOS/platform specific or a newly introduced command? There are two reasonably accurate ways to figure out which IOS release contains the command you're interested in: the Feature Navigator and the IOS reference documentation. It's sometimes hard to discover how the IOS marketing called the feature implementing your command, so the IOS reference manuals usually yield a faster answer. However, you still have to select the correct reference manual to open ... unless you use the Command Lookup Tool, which quickly finds the relevant part of the documentation. In my case, I easily figured out that the ip ospf area command became available in 12.0S, 12.3T (and therefore 12.4), 12.2SB and 12.2SRB. To add icing to the cake, you can add the Command Lookup Tool to your browser’s search toolbar. In another great example of “investigative journalism”, Network World is asking whether the VoIP is dead (and I guess I’ll never make it to their top-20 list again). Regardless of their sensationalistic approach, take your time and read the original articles they quote (Part 1, Part 2). What the original author claims (and I don’t think you can disagree with him) is that VoIP has turned from hot technology to plumbing faster than some people would like. Whether that’s bad or not depends on the perspective … what’s yours?